Refurbished Apple MB466B/A MacBook 13.3 inch Core 2 Duo 2GHz 2GB 160GB Superdrive Mac OS X 10.10 Yosemite Laptop. This MacBook has been professionally reinstalled with the latest beautiful OS X Yosemite 10.10 and is ready to use straight out of the box. 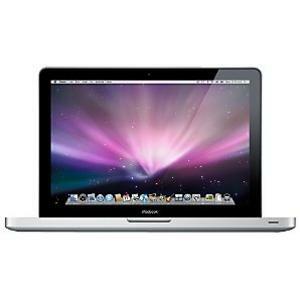 MacBook comes with a powerful Intel Core 2 Duo processor running at speed of 2.0GHz. That faster memory lets you quickly and easily manipulate large, complex files and keep more applications open at once. 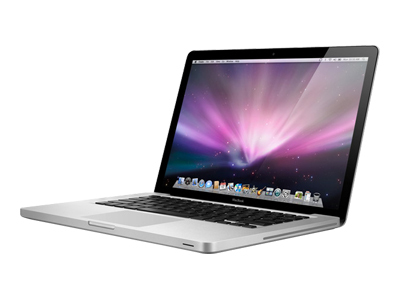 With a hard drive up to 160GB, you can load MacBook with movies, photos, and documents and take everything with you. With the ultrafast 8x SuperDrive, burn everything you watch, listen to, or create onto DVDs and make room for even more. You’ll find two USB 2.0 ports to connect a wide variety of peripherals. And you can use the Kensington lock slot to protect your MacBook, battery, and hard drive. Easily share files with other users on the network using Bonjour. And stay in sync with your Bluetooth-enabled phone courtesy of Bluetooth 2.1 + EDR. Grade B – Good condition and in perfect working order. Signs of wear and tear.